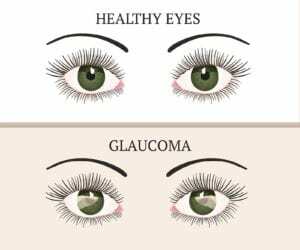 A disease, caused by damage to the optic nerve, glaucoma, impacts approximately 3 million people throughout the United States. It is also a leading cause of irreversible blindness in the country. If you are a family caregiver for an elderly adult who is living with this condition, it is important to make helping them manage with the effects of the disease a consistent part of your care approach. While there are treatments available to help reduce the negative impact of glaucoma, if your senior has not pursued treatment, did not start treatment until the disease was already progressed, or is still showing increased symptoms, it is important to help them deal with the visual effects of their disease, so they can continue to enjoy an active and fulfilling lifestyle. -Make sure your parent fully understands the condition, their treatments, and their prognosis. This helps them feel more in control and makes them an active and engaged part of their treatment and management. If they do not fully understand, encourage them to ask as many questions as they need. -Encourage your senior to comply with all medications and treatments recommended for them by their eye doctor. It is important for them to be as compliant as possible so they can get the maximum benefit from these medications and treatments. -Help your parent to manage any health issues they might have that could impact their eye health, including diabetes and high blood pressure. The better managed these health issues are, the better they will be able to manage their eye disease. -Encourage your senior to carry a magnifying glass with them so they are better able to manage tasks such as reading throughout the day. -Look into occupational therapy or vision rehabilitation therapy. These are designed to help your parent learn how to perform basic daily tasks even while coping with low vision. If you have been trying to find a way to enhance our seniors quality of life, help them pursue a healthier lifestyle, and encourage them to find more fulfillment in their later years, elder care may be the ideal solution. An elderly home care services provider can step in to provide your aging parent with a highly personalized approach to care and support that is designed specifically for them. This means they will get the assistance, care, and support they need, when they need it, to help them manage their challenges and issues in the ways that are right for them, while also encouraging them to pursue more independence, autonomy, and control over their own health and well-being. As their family caregiver, this can help you to experience less stress, focus your energy and attention in the most effective ways, and experience a better relationship with your parent.